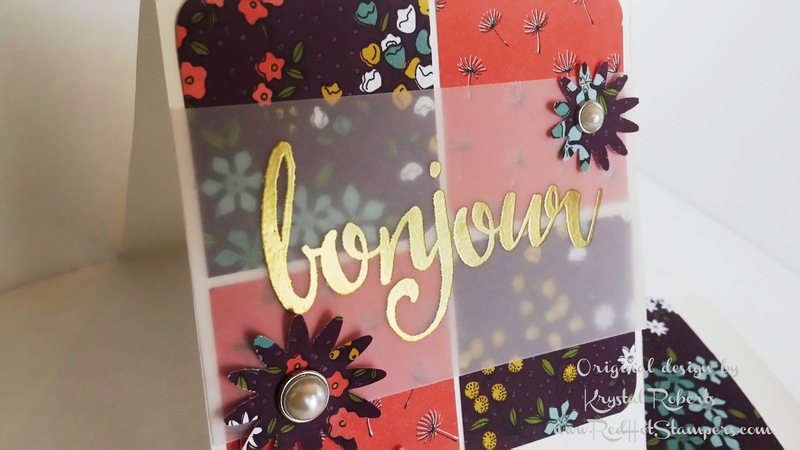 Red Hot Stampers: Bonjour Birthday Girl! I stamped in Versamark and embossed in gold. (Yes I'm obsessed.) I thought the vellum was perfect for highlighting "bonjour" and not hiding all that beautiful paper! Cuz if I'm gonna cut into that gorgeous stuff, I am NOT hiding it! haha! I added a few fun flowers with the new blossom bunch punch to soften it just a little and added a metal rimmed pearl to the center of each one. 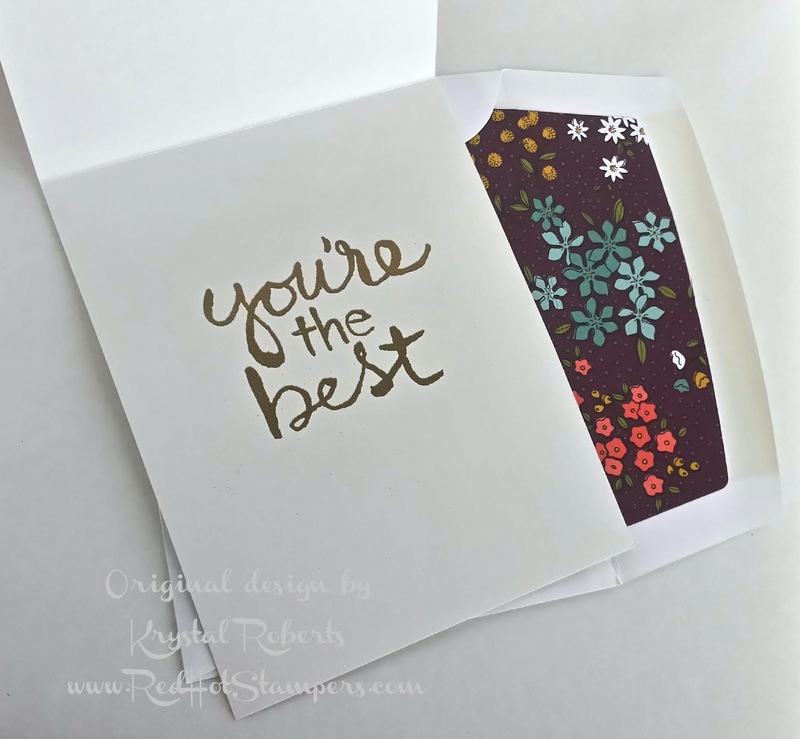 Maybe I'll make a stack of these without the birthday sentiments to have on hand for every occasion. (After I get that stack of birthday cards ready...of course.) It's a great layout to use with all different kinds of DSP!